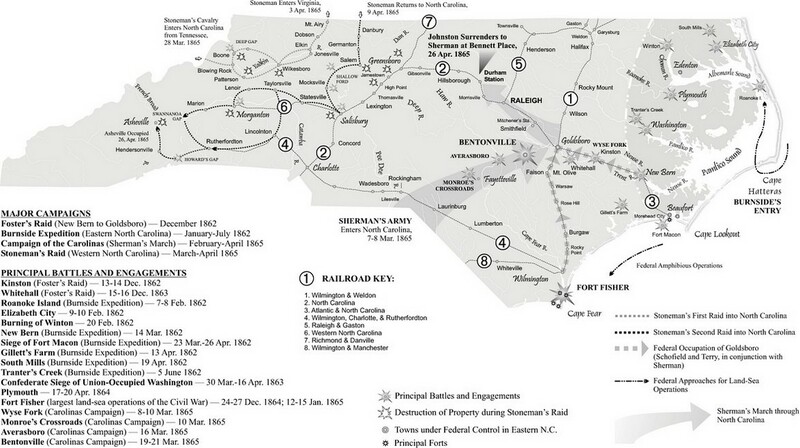 How important were Wilmington and Fort Fisher, North Carolina, during the Civil War? 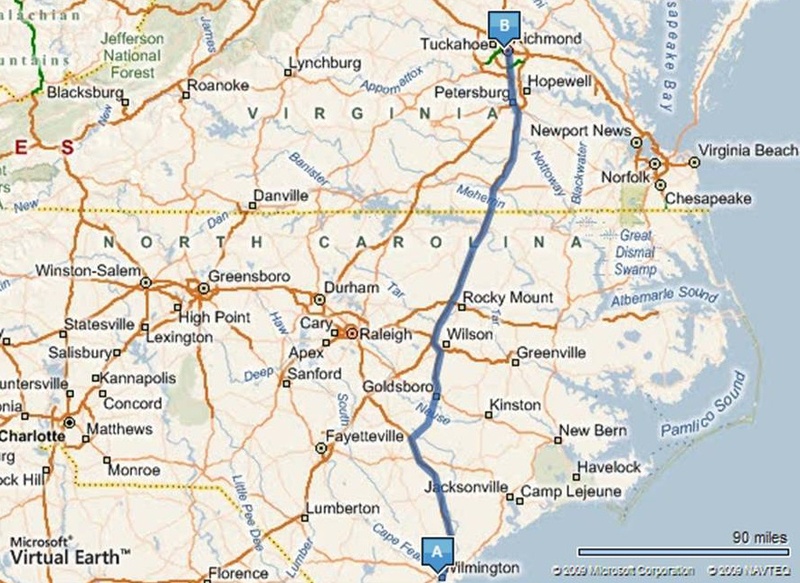 Wilmington was a vital and critical port that supplied General Lee and his Army of Northern Virginia. It was protected by the South's largest and most formidable fort, Fort Fisher. Once the fort fell into Union hands, so went Wilmington and it supplies and so went the vital Wilmington and Weldon Railroad -- the crucial supply line to the north. And soon the Civil War would end. As the battlefields of the Civil War are viewed, a common theme is noted -- railroads. The majority of the conflict's battles were fought along the tracks that were necessary to rapidly move troops, ammunition and supplies to and fro the theaters of the fight. Whereas Wilmington was a bustling port city and formidable Fort Fisher protected it, the region's railroads allowed the flow of goods to the nation's interior as well as to the nearby ships bound for Europe. "The Operations against Fort Fisher and Wilmington consisted of the following battles: Battle of Fort Fisher (aka Second Battle of Fort Fisher) and Battle of Wilmington (aka Fort Anderson, Town Creek, Forks Road, Sugar Loaf Hill)." The Second Battle of Fort Fisher, January 13–15, 1865, was a joint assault by Union army and naval forces against Fort Fisher, near Wilmington, North Carolina, at the end of the Civil War. Sometimes referred to as the "Gibraltar of the South" and the last major coastal stronghold of the Confederacy, Fort Fisher had tremendous strategic value during the war. The Battle of Wilmington was fought February 11–February 22, 1865, and It was a direct result of the Union victory at the Second Battle of Fort Fisher. 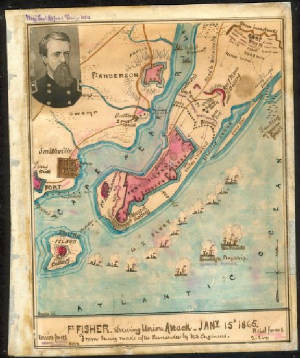 The Union army and navy planned several attacks on Fort Fisher and Wilmington, but made no attempt until Dec. 24, 1864. After two days of fighting and little headway, Union commanders concluded that the fort was too strong. The first assault, known as the Expedition against Fort Fisher, had resulted in a Union withdrawal. However, they returned for a second attempt on Jan. 13, 1865, and for more than two days federal ships bombarded Fort Fisher from both land and sea. 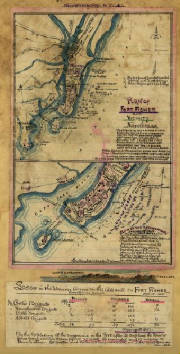 (Right) Vintage Union Civil War map of the Battle of Fort Fisher. It also displays numerous surrounding forts and batteries. South of Wilmington, along the Cape Fear River's last 20 miles (30 km), a handful of Confederate forts and batteries protected the daily flow of ships. Also, the channel had been purposely jammed with loads of wreckage and aquatic mines, which were referred to as "torpedoes." The Confederate officers conducted each ship cautiously through this barrier. 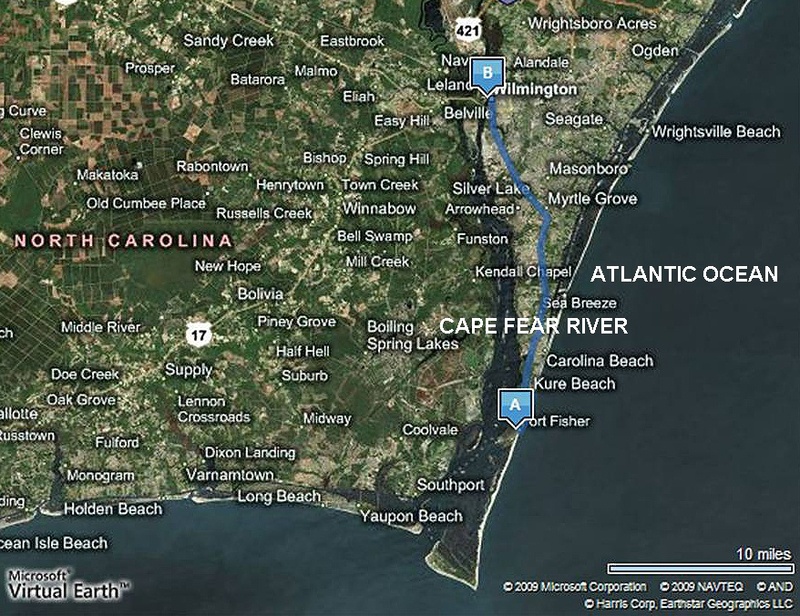 Particularly at Cape Fear's outlet to the Atlantic, the area was enclosed by a half dozen Confederate positions. The river flowed to the sea through two relatively shallow inlets, which were partitioned by Smith Island. The existence of two inlets resulted in a crucial advantage: guided by the Confederates, the blockade runners were capable of avoiding the Union ships. They simply had to change course unexpectedly, alternatively between the two inlets. 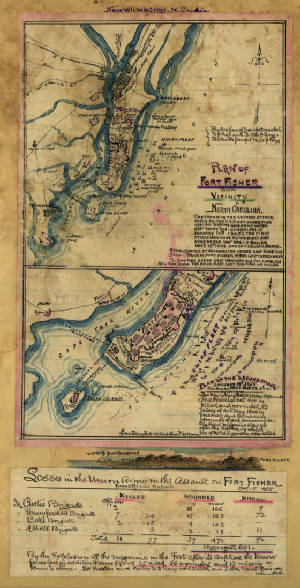 Near the beginning of the war, the Confederacy occupied the Federal Point peninsula, which was located at an advantaged location upon Cape Fear's New Inlet. The formidable Fort Anderson, one of many forts located on the Cape Fear River Defense System, guarded Wilmington and during a thirteen hour Federal bombardment it sustained three hundred and eighty shells per hour. The loss of Fort Fisher sealed the fate of the Confederacy's last remaining sea port. This was important because the South was cut off from the newly forming industrialized global trade markets. A month later, a Union army under General John M. Schofield would move up the Cape Fear River and capture Wilmington. On January 16, Union celebrations were dampened when Fort Fisher's magazine exploded killing and wounding 200 Union and Confederate soldiers that were sleeping on the roof of the magazine chamber or nearby. U.S. Navy Ensign Alfred Stow Leighton died in the explosion while in charge of a squad trying to recover bodies from the fort parapet. Although several Union soldiers initially thought Confederate prisoners were responsible, an investigation opened by Terry concluded that unknown Union soldiers (possibly drunken marines) had entered the magazine with torches and ignited the powder. The Battle of Wilmington, furthermore, closed the last major port of the Confederate States on the Atlantic coast. Wilmington had served as a major port for blockade-runners, carrying tobacco, cotton, and other goods to places such as Britain, the Bahamas, and Bermuda. Now with the port closed, the Union blockade was complete. Bragg ordered bales of cotton and tobacco burned so that they would not fall into Union hands. 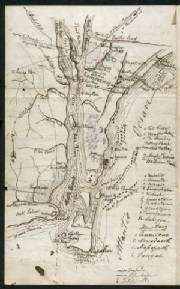 Schofield's forces were reorganized into the Army of the Ohio and from Wilmington he marched inland to join with the rest of Maj. Gen.William T. Sherman's forces. 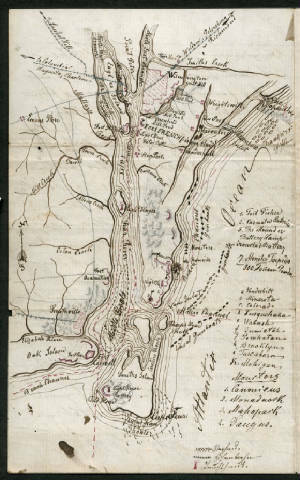 Studies for the following subjects may be found on this page: Operations against Fort Fisher and Wilmington Civil War History, Battle of Fort Fisher, Second Battle of Fort Fisher, Battle of Wilmington, Battle of Sugar Loaf Hill, Battlefields, Maps, 2nd Fort Fisher.